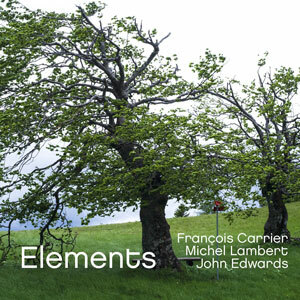 Francois Carrier (as, Chinese oboe); Michel Lambert (dr); John Edwards (b). May 2015, May 2016.
nger picking and bowing, and so do the moods. The middle part of the track is particularly “unkind”. François blows a hell out of himself and the section follows at the similar level of intensity. In the 9th minute John starts a repetitive bowed motif and the track changes the character, combining more opened with minimalist fragments. In eleventh minute a fragment of silent collective improvisation starts that develops into a bass solo, and then bass and drums duo. François comes back and continues for a while in the tranquilizing mood, but turning back to a more explosive statements soon. Fantastic track, a paradigmatic example of the trio’s synergy and mutual understanding. “Roar of Joy” has only a little more than 5 minutes and has a fragmented “theme”, reminding me of some themes of Ornette Coleman. The section make again wonders here. Again, the track becomes quite dynamic and free in the middle, returning to the kind free jazz at the end. The closing “Wilderness”, recorded in Cerkno, is the best. It has a wonderful beginning, with alto passage of intensive beauty, and the section realizing complex rhythmic gures. 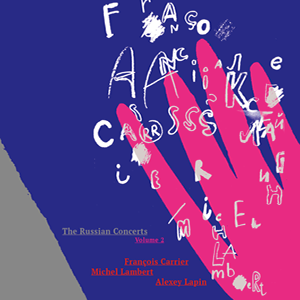 In the middle part, the free jazz governs François uses even some over blowing techniques. After a short bass and drums solo he changes for short to the Chinese oboe. After come back to the alto, the track attains a character of a (relatively) peaceful ballad. There another fragment with the oboe and the nal, culminating on alto. Wonderful track, and wonderful album!!! fined theme, or better to say motif, with some touch of the Ornette Coleman’s music. My favorite is “Soul Play” with elements of post-bop and even blues. The drums solo, as well as the saxophone solo cadenza are very beautiful here. “When the Heart Starts Singing” is a great ballad, with plenty of feeling, and tremendously expressive second part and the nal on oboe. “Meadows and Shored and Hills” is another favorite of mine, for the shear amount of expression in both sax playing and drumming. The set ends with the happiest tune: a kind free jazz version of “happy Birthday”. I remember François sending it to me as an MP3 for my birthday in 2016. 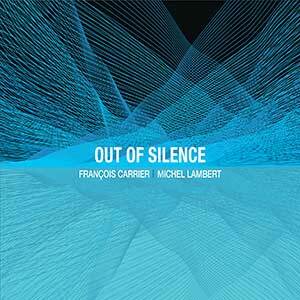 “Out of Silence” is the masterpiece of the Carrier-Lambert duo!